As you can imagine, we've visited some lovely venues in our time and The Felbridge Hotel & Spa is a favourite choice of our clients. 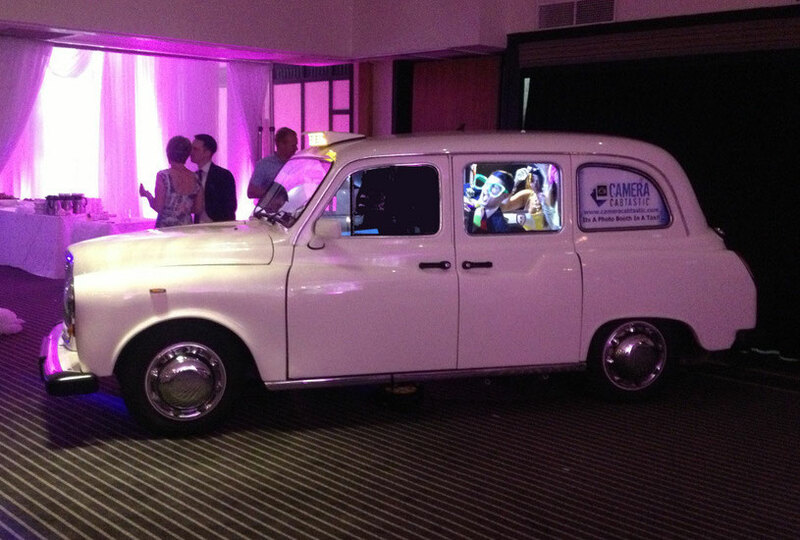 This particular venue has the added bonus of allowing our Taxi Photo Booths inside the building. Both indoor and outdoor garden areas. On-site accommodation 4 Star accommodation. Dedicated conference team available to assist throughout your event. With all the luxury features of a 4 star hotel accompanied with elegant events rooms. The Felbridge Hotel and Spa offers a truly memorable and enjoyable event and wedding experience. Their selection of beautiful suites and license to hold civil ceremonies makes The Felbridge Hotel & Spa the ideal venue for a wedding of any size. With a total of 10 conference rooms available, it is also ideal for business meetings large or small. The Grand Ballroom - comfortably accommodates up to 300 seated guests. They also have the ability to alter the size of the room with the use of acoustic sliding doors. Allowing the Felbridge Hotel to provide a room that suits your needs, not to large, not to small, just right. The Willow Suite - able to accommodate up to 80 seated guests and celebrations of up to 150. The Willow Suite incorporates a more exclusive dining area with an attractive conservatory leading onto the beautiful courtyard and gardens. Providing clear natural sunlight by day and moon lighting by night, this room. An ideal venue for weddings, graceful cocktail parties, conferences and exhibitions on a more intimate scale than the Grand Ballroom. Anise Restaurant - the most intimate of their wedding and function venues. The Anise can be exclusively booked for events of up to 30 guests. Available with your a team of staff dedicated to your guests needs during your event. With two restaurants on site, the Felbridge Hotel are able to cater to any culinary or dietary needs. With the Anise restaurant holding the coveted 2 AA Rosetta, you are assured quality dining at the Felbridge. Other suppliers that the venue can put you in touch with include everything from white London taxis to DJs, harpists to photographers.